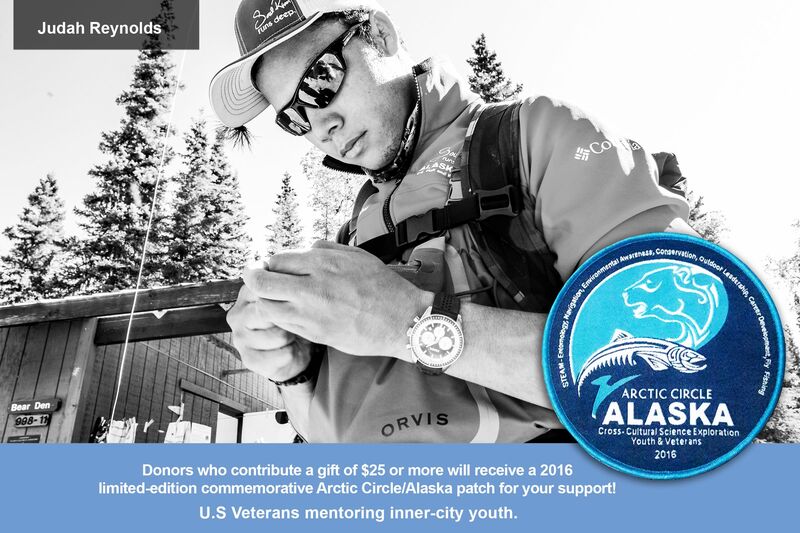 YOUTH SHARES – Alaska/Arctic - Soul River Inc.
My name is Judah Reynolds and I am 19 years old from Vancouver, WA.Throughout my experiences with Soul River, from the Angler’s Quest Quinault outing to the 2015 Alaska Expedition, I have been inspired educationally and found them to be enjoyable with mentors for me and opportunities for me to mentor younger youth. When Chad asked me if I would like to go to Alaska and instantly I was hooked! Fast forward to the day the trip was launched and you’ll see that I was surrounded by a lot of people that had many different backgrounds. The flight there was generally quite since we did not know each other but we slowly got to know one another. We were separated into three teams (mine being the Blue Team) so we go to know each other quickly and really helped us utilize a team work mentality. We wasted no time with team building because the first day that we were there we were tasked to prepare a meal together! We all had tons of fun! When we arrived on the refuge, the first thing that our mentors (veterans) taught us was safety, from staying hydrated to bear safety courses. This became a recurring theme throughout the entire trip. We also learned about Alaska’s unique eco system and how to minimize our impact on the environment. Personally, I was not just fascinated about the salmon’s life cycle, but by how big of a role they played in keeping the streams, wildlife, vegetation and, in general, the whole forest healthy. We learned about entomology and how insects and aquatic life plays a critical role in the ecosystem. For example, a cadis fly provides food for trout, dolly varden and other marine life and its life cycle has four stages – egg, larva, pupa, and adult. Learning this helped deepen my understanding of our forests and streams. While being in Alaska, it was nice to always have someone to be there and to experience the brilliant beauty of the land with. We had mentors and leaders who were eager to show us the ropes of wilderness survival, conservation and leaving no trace, and especially fly fishing! I found it very enjoyably to learn from the environment that I was curious about. I was always surrounded by people that felt like family even though we might have been complete strangers only one week before. I am so glad I went on this expedition, not just because of the connections, the environmental awareness and the experiences, but because I will cherish for the rest of my life the lasting impression that it put on me. It really helped to inspire my future and a career in fish and wildlife.